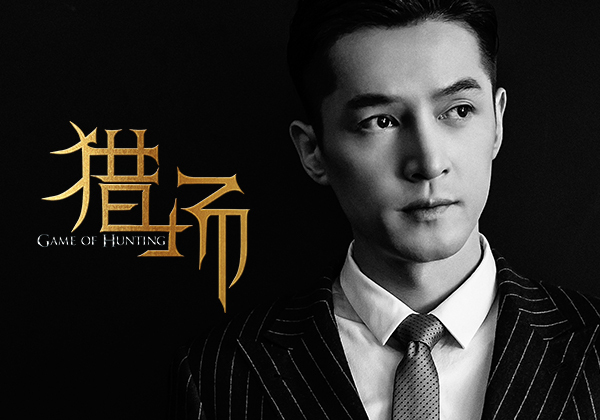 Hu Ge’s new drama Game of Hunting 猎场 (previously translated as Hunting Ground) is finally going to see the light of day after a lengthy legal dispute between the production company and broadcasters Hunan TV and LeTV, and has released an official trailer ahead of its premiere in the third quarter of the year. Game of Hunting is the latest project from award-winning director and writer Jiang Wei (Lurk, Borrow Gun) and follows Zheng Qiudong (Hu Ge) as he navigates the cut-throat business world and tries to avoid the traps and pitfalls set up by competitors. Along the way, he meets several friends and mentors that help him level up [as in a video game] to become one of the most successful headhunters in the industry. This will mark the second collaboration between director Jiang Wei and A-list heavyweights Sun Honglei (To Be A Better Man) and Zhang Jiayi (I Am Not Madam Bovary). Sun Honglei will be making an appearance as Zheng Qiudong’s trusted mentor while Zhang Jiayi is the first executive to be successfully recruited by Zheng Qiudong. The solid cast also includes Zu Feng (Double Thorn), Chen Long (Ode to Joy 2), Li Qiang (Case of the Mekong River), Dong Yong (To Be A Better Man) and Zhao Lixin (Chinese Style Relationship). Jian Renzi (Lost Mind), Wan Qian (God of War) and Zhang Lingzhi (Love Me, If You Dare) will be playing Zheng Qiudong’s love interests. With Jiang Wei at the helm, I think it’s reasonable to expect this drama to deliver an engaging story filled with humanly flawed characters. Game of Hunting will air two episodes a day (one on Saturday) and run for a total of 45 episodes. This entry was posted in Drama, Mainland China and tagged Dong Yong, Game of Hunting, Hu Ge, Jian Renzi, Sun Honglei, Wan Qian, Zhang Jiayi, ZHANG LINGZHI, Zhao Lixin, Zu Feng by XDramasX. Bookmark the permalink.